You are at:Home»1L Year»What Does “Esquire” Mean? 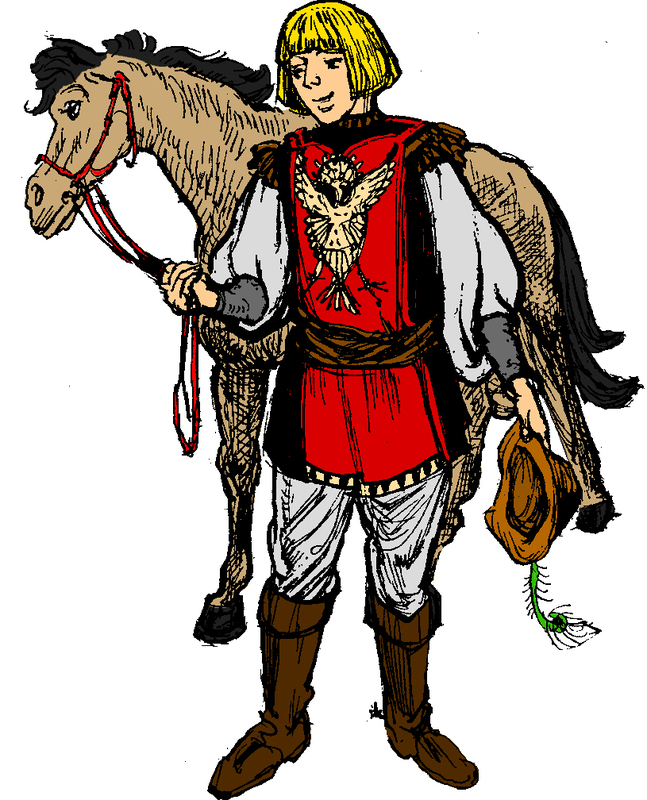 The title Esquire (often abbreviated as “Esq.) is a term typically used in the United States to designate a person who may practice law. The title Esquire, which may apply to a man or a woman, goes after the name of the person. 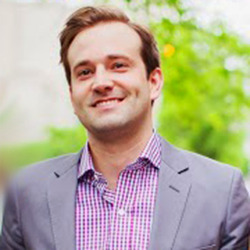 So I could say: “hello, this is Joshua Craven, Esquire.” This modern meaning employed in the United States is very different from the original meaning of the word “esquire,” which originally meant an apprentice to a Knight who was aspiring to noble rank (it is a cognate of ‘squire’). In America, where noble titles are constitutionally forbidden, the designation is usually a professional one or one of esteem. Though usually used for lawyers, Esquire is occasionally used as a formal address for a poet or an artist as well. I want to put this right up front so that any newly minted lawyers reading this don’t commit a major faux pas: when actually speaking in business or social situations use the title Esquire only when addressing others, never yourself. Make sure the person who you address as ‘Esquire’ is in fact a licensed attorney. Your classmates at law school aren’t Esquires yet. They have to pass the bar and be sworn in first. If the term is used all in speech, it is probably best confined to very formal contexts and generally only when introducing a person. It would sound very foolish to keep referring to someone as an esquire several times throughout a conversation. I am contacting you in response to your letter of June the 5th…. 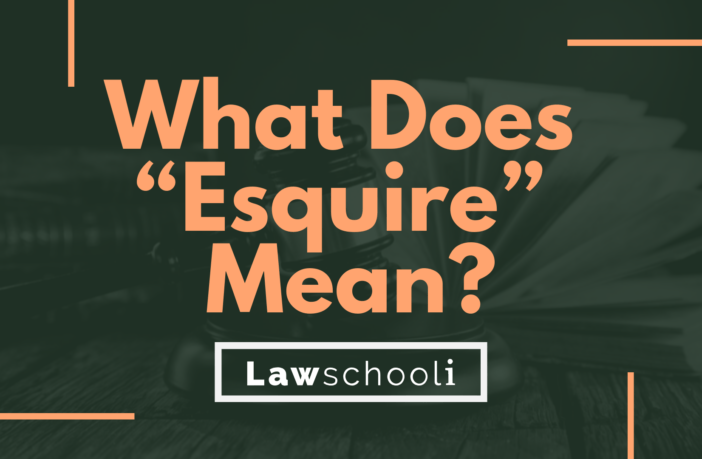 Though you wouldn’t refer to yourself as Esquire in speech, it is perfectly fine to use the title Esquire in your own signature block, such as the one you put at the end of an email (‘Attorney’, and ‘Attorney-At-Law’ work for that as well). Often firm practice governs how signature blocks are done, so look to guidance within your own firm or office. Adding the term Esquire is a very useful way for people reading your email to tell that a lawyer wrote it rather than a paralegal or other office staff, so more often that not you want Esquire or equivalent appended to your signature. In Britan, the word esquire does not carry the same professional meaning it does here, rather it is used as a very formal address for a man or a woman in lieu of ‘Mr.’, ‘Mrs.’ or some other title. If you wander across the pond, no one is going to think you are talking about a lawyer when you say ‘esquire.’ They are just going to think you are strange and old-fashioned. Graduate law school. It’s not going to be easy. Check out our post How Hard Is Law School? Pass the bar exam for you state. Some are a lot harder than others, but with intense study you can pass. Will There Be Enough Jobs For Law Students In The Near Future? It’s never to be used reflexively, and that includes in any “signature block”. Step 1. Put esquire behind your name. Lawyers don’t own the term Esquire, you pompous douche! I fully accept that in the United States – given the changed usage of esquire – it makes perfect sense to address both men and women as ‘esquire’, but I should point out that in Britain, where the original meaning has been retained, the term is used only for men. This is not a sexist thing – it is simply that this honorific is gender-specific and it would be like calling a man Mrs.
Are you able to take and pass the Bar without going to Law School? I thought the term Esq. was reserved for those who did not attend Law School but passed the Bar exam and thus were granted the privilege to attain a license to practice law. What would be cravens view if in Nigerian context? This article would be improved by a good grammar check. I’m not sure how many of the errors were typos and how many simply prove that anyone can become an esquire. Is it appropriate or inappropriate to include Esquire on your business card? Following the conventions described by Mr. Craven in this article, within the United States it would be an appropriate move. In my opinion, it seems more eloquent and at least equally professional as appending “attorney” or “attorney-at-law” in your business card, but more aesthetically concise. I would think of it as similar to your signature block on a formal letter, so it would be good to take your law firm’s regulations (if any) into consideration here. In the written word, it is a viable option, but if you’re offering someone your business card be sure to use more appropriate vocalized terminology rather than repeating that title verbatim. I might recommend denotation that you’re any attorney, either aloud or in a subtitle on your business card, to avoid any confusion from someone outside of the American legal sphere. For example, would probably be an acceptable centerpiece for your business card, so long as you are a bar-approved practicing lawyer. I would consider that visually appealing, though whether or not it is practicably ideal might require a different consideration entirely. Indubitably! I agree with Alexandra whole heartedly. The title is especially acceptable to Nigerians in communications. But also has a slightly different meaning on the African continent while referring to oneself; where unwarrented trust is required to relieve the addressee of their worldly posessions via the internet. But here in America, the title can be critical in legal circles in order to maintain the highest levels of taurum stercore, and to properly seperate oneself from any of the lower social classes. For engaging the civilian public at large, it is most convincing to accompany the title by wearing a powdered wig, purple tights, and employing a bombastic English accent.